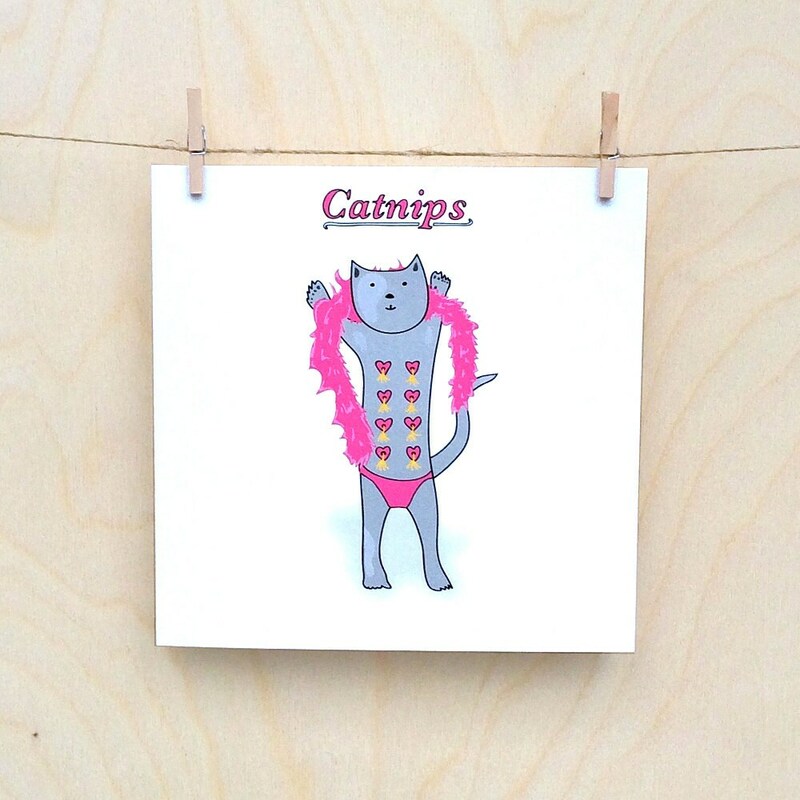 People love cats, they do, even cats who do burlesque. Some people really love those cats. 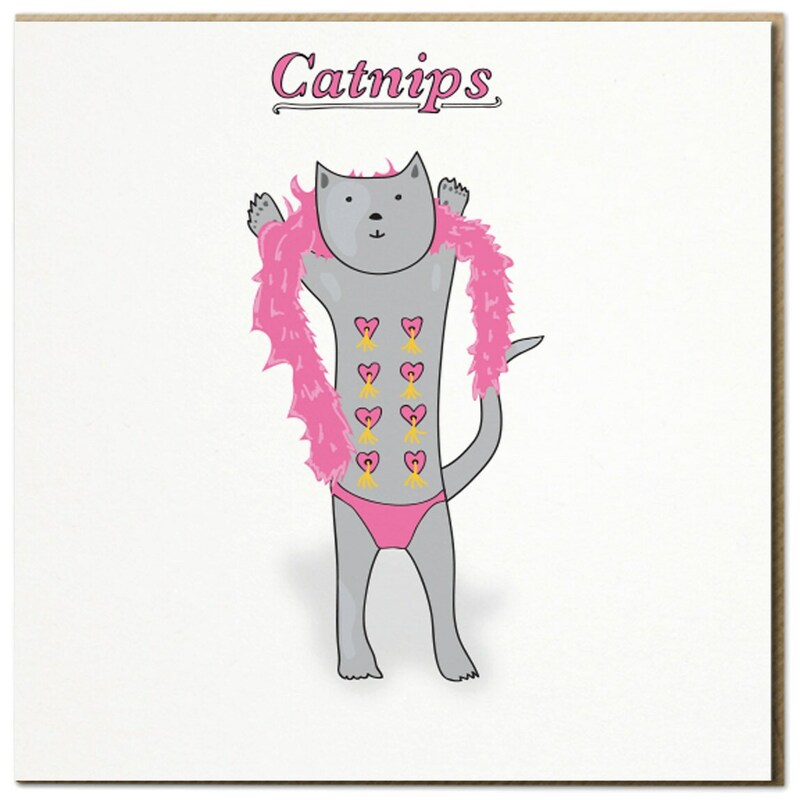 So if you love cats in that way or you love someone who loves cats then you or them will love this card. Just not as much as you/they love cats. This card is 145mm x145mm and is printed on a lovely slightly textured 300gsm card. Ooh and it's got a lovely brown kraft envelope too so it looks all nice.